The most rewarding Winners Club in Colorado! 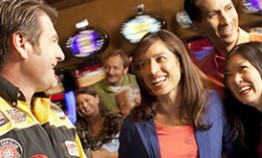 The Gilpin Casino invites you to join the most rewarding Winners Club in Colorado! Membership is free and the benefits begin immediately. Members are entitled to cash back, Swipe & Dine comp dollars, tickets for your own “Members Only” drawings, and special CASH mailers (based on play). Simple, Honest, EASY! A Winners Club designed without the confusion! Must be 21+ to enter The Gilpin Casino. The Gilpin’s Winners Club members are rewarded in many ways, including cash back, exclusive promotion offers and comp dollars that can be used towards food at Lucille Malone’s. With all these great benefits, there’s no reason not to join. Winners Club members can check their account balance online and also print their Win/Loss Statements. Just click on the button below and enter your account and PIN number to sign in. Need access? Visit our Winners Club area and speak with one our our Player Services Hosts. You can access your Win/Loss Statements online. Click on the link below and submit the information to print your statement. 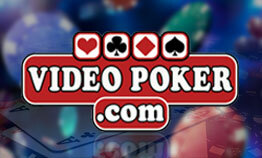 Your favorite casino games online! Friendly dealers...exciting table game action!